Bow hunting roan antelope with Mkulu African Hunting Safaris. 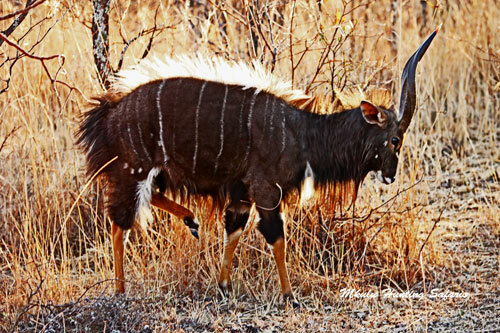 Bow hunting roan antelope South Africa is bow hunting the second largest antelope specie in the country. Bow hunting roan is rather unusual due to the cost involved. At this point in time roan antelope are still rather expensive to hunt, but due to conservation efforts by hunters and due to hunting dollars being re-invested in roan breeding programs, the numbers are steadily increasing. The result of increasing numbers of roan antelope will be that hunting costs will come down over time. 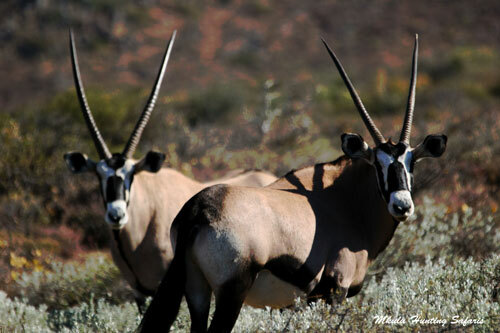 Roan look like a cross-breed between gemsbok and sable, with roan retaining the white facial marking of the gemsbok and the curved horns of the sable. Roan antelope have not been on the top of the bucket list for hunting due to the cost. Over the past three years we have seen a decrease in roan hunting prices due to availability and exchange rates in favor of the hunter. We look forward to having you over on your next roan bow hunting safari. As a special offer for 2017 we are offering a 10% discount on our roan bow hunting prices for the first two bow hunters wanting to bow hunt roan antelope with Hunting in Africa Safaris. Below are a number of suggestions with regards to draw weight, shot placement and tips for bow hunting roan in South Africa. 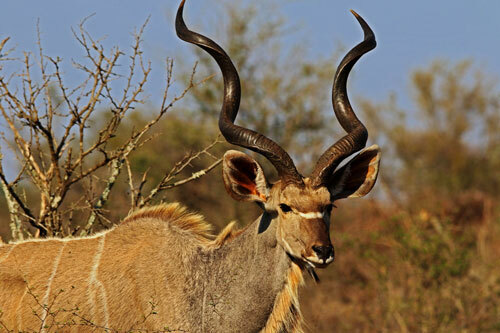 The cost for bow hunting roan antelope South Africa has been confirmed at $ 7 500 for the 2018 African bow hunting season. This is the second year running at the same price, after lowering our roan bow hunting prices in 2016. The recommended draw weight for bow hunting roan in South Africa is any increment greater than minimum draw mass. Any draw weight equal to or greater than 70 lb is recommended for bow hunting roan. The minimum kinetic energy (KE) required for bow hunting roan is 60 ft / lb. A minimum arrow velocity of 245 fps is suggested for bow hunting roan in South Africa. A minimum arrow weight of 450 grains (gr) is suggested for bow hunting roan in Africa. You decide which brand broad head you would like to use when bow hunting roan. Roan have a rather large area covering the vital organs for adequate shot placement. Place the shot right behind the shoulder of the roan in line with the front leg, one third of the way up from the bottom of the chest to the top of the back. This shot should result in a high heart / lung shot leading to the roan expiring in the least amount of time. The following tips for bow hunting roan are done from the perspective of still hunting from a blind. Roan usually come in to water during the mid-mornings anywhere from about 9 am – 11 am and then for a second round from about 3 pm onwards till dusk at about 5:30 pm during our winter months. Roan come to water cautiously and weary the whole time. Roan will often stand some distance away from the water and approach a few steps at a time. Due to the high price of these animals they are not one of the 10 most popular animals to bow hunt in South Africa. Roan bow hunts can be conducted year round. December, January and February are usually very hot which may lead to some discomfort if you are sensitive to heat. 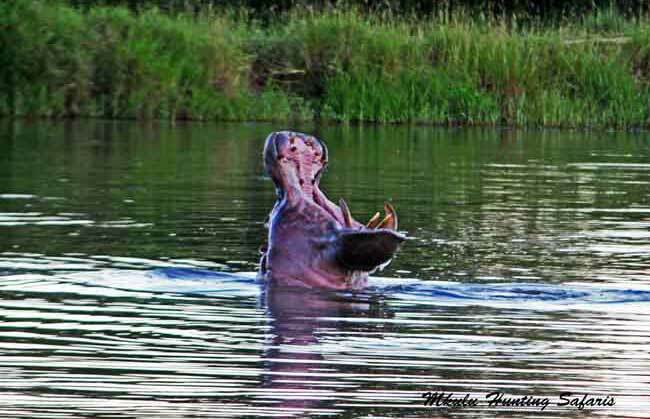 The lodges we stay at all have air conditioning and swimming pools allowing one and all to cool off when things heat up. Our recommendation for the best time of year for bow hunting roan antelope would be from April to October / November.